Giggs is an astonishing player with an unparalleled career, and here is his amazing story. By the time he made his Manchester United first team debut at 17, many considered Giggs to be the greatest talent since George Best. 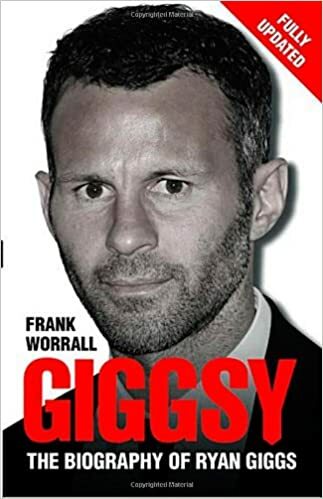 By the advent of the Premier League in 1992, he was firmly established as United's left winger, a position he continued to dominate until late in his career, when Ferguson switched him to a deeper role in central midfield. Famed for his pace and skill on the ball, Giggs has scored vital goals throughout his career, most notably his incredible solo effort in the 1999 FA Cup semi-final replay against Arsenal. He was an integral part of the historic 1999 Treble-winning side, and is the only Man U player to have played in both the 1999 and 2008 Champions League victories. Giggs eclipsed Bobby Charlton's record in April 2009, when he made his 800th appearance for United. That year also brought his 11th Premier League winner's medal and the PFA Player of the Year award. Giggs has scored nearly 150 goals for United and his incredible record with the club has ensured that he will go down in history as one of United's greatest ever players.